Nearly four years since the incident, and over two years since they last reported any progress, the MH17 Joint Investigative Team (JIT) have held a press conference. To underline their previous position – they still think Russia did it. The timing of this statement could be seen as very politically convenient for the NATO allies and the Kiev regime. The West would have you believe that the proximity to the World Cup is purely coincidental. Whilst those suggesting that this is a great cover for Ukraine’s renewed shelling of separatists regions in the Donbass will surely be dismissed as “apologists” or “cynics”. None of that is really the issue though. Whether they truly have “new evidence”, or whether this is just a rehash of discredited Bellingcat nonsense, is immaterial. If the politically convenient timing is a coincidence or a stunt does not matter. The most important point is that the JIT is fatally and irredeemably flawed. The JIT, made up of investigators from Australia, the Netherlands, Malaysia and Ukraine…but not Russia, has obvious credibility problems from the outset. The presence of Ukrainian investigators instantly means the end of objectivity. You can’t have an impartial investigation when one of the main suspects is doing the investigation. That’s simple common sense. It’s not just the presence of the Ukrainian investigators that taints the JIT’s findings either. The four countries involved have signed a joint non-disclosure agreement (NDA), which states that none of their evidence can be made public unless ALL FOUR of the national governments agree. Essentially, Ukraine have a veto on whether any single bit of evidence they find ever sees the light of day. This is absurd. SO: Any and all evidence ever brought into the public eye by the JIT has first been screened and okayed by ONE OF THE SUSPECTS. As such, none of their evidence, analysis or conclusions can be counted as, in any way, objective, impartial fair or even accurate. The whole operation is a farce, and an obviously politically motivated one at that. which means in short: Malaysia as member of JIT is not convinced of JIT’s conclusion. It’s astonishing. This way the Ukrainian missile battery would NOT see as a commercial airliner. The Ukraine always maintained that no aircraft were fllying that day (under orders from the defense minister) however one secret accomplice went up and properly spoofed or vanished MH17 from the radar screen thus the missile crew sent up a Buk2. Ukraine has a track record of casually shooting-down civilian airliners, believing there would be no consequences. And then going into an identical sequence of denials, rebuttals, refusals to pay compensation, and so forth. No such event ever occurred!! Do you Putinbots have no conscience! Everything else is a ruse, a farce, a complete fabrication. The Australian Government, by conspiring to ‘veto’ any and all evidence that ‘one’ particular party may not agree with, are complicit in the perversion of what we ‘pretend’ is justice. I’m Australian. And I’m ashamed at what this country has become. The MH17 FARCE is a tragedy for every innocent person on the planet. I’ve flown on MH17. It could have been me and my family taking our ‘last’ photo’s on that plane. And to think, that my own government would be involved in such a sham KANGAROO court and pursue blatant cold ware hysteria propaganda at my expense makes me sick. Time to emigrate. And I’ll be taking all my money and business with me. Another interesting detail relating to the reported events is that local witnesses reported seeing two Ukrainian fighter jets in proximity to MH17 and it was suggested by military experts that these would most likely have been SU-25 fighter jets. A few months after the event RT featured a film made with Russian defense officials and experts in which the latter re-enacted the impact of an attack on a civilian aircraft from the most likely estimated effective distance, using a ‘scrapped’ plane on the ground which they strafed with bullets from an airborne SU-25. The damage was incredibly similar to that seen on MH17. However, Western military experts claimed that – because of their design – SU-25s could not be used at the height that MH17 would have been at, they could only operate safely up to about 2,000 metres lower, thereby debunking the theory. I think the issue was the absence of an oxygen supply for the pilot in an SU-25. At the time, I checked this on Wikipedia and the information there (last updated maybe a year or two previously) stated that a suitably trained pilot could take the plane 2 -3,000 metres higher than the (recommended) maximum operational height of about 23,000 metres, and this would have brought it up to or slightly above the height of MH17 . My significant point is that when I went back to the Wiki site to re-check the information a few days later I found that it had been amended a day after I’d last read it and the sentence about it being possible for a suitably trained pilot to fly higher than the recommended height had been removed. It wasn’t a Su25. It was a MIG29. The SU25 isn’t fast enough and couldn’t climb to that altitude with a fully loaded armament whilst chasing down MH17. It was a MIG29. The MIG29 is still a formidable interceptor. It does Mach 2.5 and would eat MH17 for breakfast and come back for seconds. The SU25 was another ‘false trail’ laid by the ZioMedia to distract from the ‘smoking gun.’ Just like the BUK ‘smoking gun’ sham (which was actually a coal train that departed from Donbass twice a week to take coal to Western Ukraine. The smoke trail that the ZioMedia used as ‘the smoking gun’ was identically duplicated in a photography exercise by some Russian and Eastern Ukrainian amateur photographers. The identical location was used, almost the same building, same clear sky, same type of camera. The photographs were identical. The ‘smoking gun’ was a coal train. I saw the video of the same diesel train with identical smoke trail. Very enlightening. MIG29 is ‘smoking gun’ as seen in this photograph, with profile correctly identified by dozens of witnesses out of unlabelled silhouette pictures. Hej Judy, If you think about it, ” the absence of an oxygen supply for the pilot in an SU-25.” doesn’t work. How difficult would it be to carry a couple of O2 tanks, like for climbing high mountains? You’d only need it for a few minutes: one small tank would suffice. Wikipaedia has team-players all over it, massaging the “facts”. Not to be trusted. Hi Rilme, thanks for your comments. You may well be right about the potential for carrying oxygen tanks and Spinifex may well be right that the planes would more likely have been MIG29s. In terms of technical details, all I was referring to was what was said on RT at the time. That aside, the primary focus of my earlier comments was the suspicious timing issue: Wikipedia states that SU25s CAN be flown above the ‘recommended’ altitude of 23k feet; RT does a report in which it is stated that SU25s may have shot down MH17; Western military experts refute that SU25s can be flown at the same altitude as MH17 (25k feet); the next day Wikipedia still states that SU25s can be flown above 25k feet by suitably trained pilots; but A DAY LATER the Wikipedia entry has been amended specifically to remove the reference to the potential to fly the plane above 23k feet. The mere fact this reference was deleted might suggest someone was trying to cover up any possible evidence pointing to the possibility of Ukrainian air force involvement. As I reflect on my memory of this, even more suspiciously, I recall that the Wiki entry was essentially a cross-reference to a comprehensive international database (maintained by GlobalSecurity.org, founded in 2000 in Virginia, USA) of the specifications of military aircraft throughout the world. Interestingly, the opening page on their website states “The content of this website is updated hourly as events around the world develop”. The above websites contain very useful information. Their is a case that the Minster of defense of Ukraine participated in the missile strike on MH 17 Three days before Mh17 a AN 26 was supposedly shot down and all throughout the world the Minster proclaimed that a ‘new missile must have taken the AN 26 as that plane was flying at 6500meters. Check all the sites The Toronto star story reported the ministers 6500 meters however printing a dissenting view that the plane was up so high (requires pressurization) by a expert who said that rebels only have SAM 6 missiles which can’t reach 6500. So it was very important to have a narrative that the rebels have a new missile that can go 6500 meters which would become apparent 3 days latter. As you follow the reporting all around the world variations on the 6500 meter comes into play. If attention was applied to this plane (AN26 on the 14th July destruction and the plane WAS NOT FLYING AT THAT HEIGHT at all , one can make a deduction the Minister is putting into play a plan to blame the rebels for MH17 3 days latter. Also the Ukrainian fighter jet which they deny could have been used to spoof it’s signature onto MH17 which the Ukraine Missile Battery mistook for a Russian warplane and so let loose with a BUK2, the defense Minister could have ordered no planes (fighter planes) and made it known to the missile battery, again the Operators would have reasoned ,’we have no planes up and a fight er is on screen ()spoofing it’s signature on to MH17 so the missile battery were not to blame (as if they would own up) but were faked inti it by the Minister Of Defense. Any investigation that disproves (AN26) as been faked at 6500 would squarely place blame and culpability (Murder) onto his shoulders. Other pre crash events like flight course change and altitude drop makes sence. Also the defense minister has control of airport/military towers and could have forbidden any fighter aircraft on 17th July informing the Missile batteries any appears you muyst shoot.so one did not really have to have the missile battery to say shoot at a commercial airplane. I strongly say this was planned from the social media recordings that were spliced togther to quickly ie 10=20 mintes you see why put out a (very quick) fake recording (spliced) if you certain that the Russian s did it. Why? Because it was planned. We can see from the minister behavior if my intution that the An26 was faked at 6500 the minister becomes prime candidate for the mass murder of hundreds. The evidence is pretty plain that the Ukronazis DELIBERATELY shot down the plane, and it was NO accident by either side. In keeping with their dedication to Evil and the Prince of Lies, more and more Western vermin, in politics and the fakestream media sewer are using this foul bulldust ‘investigation’ to accuse Russia of deliberately shooting down MH17, for no reason but that they, and Putin in particular, are simply Evil. No great example of pathopsychological projection can be imagined. if i remember right there’s video of the An26 being hit and it definitely wasnt at 6.5 km up. It was hit with the usual shoulder fired missiles. THier is no logical reason Defence Minister Valeriy Heletey would persistently inject a misile able to up to 6500.
was used 3 days before MH17 unless it is too blame the rebels/Russians/Putin. How believble is An26 goes down on the 14th July and a few hours latter (how does he know so fast) it’s reported in ‘the star’. From this intuitive line of reason one can see the person responsible. In all reports (AN26) all crew of eight survive with some suggests of possible capture by rebels, anyway I doubt Defence Minister Valeriy Heletey and assert that he is Prime candidate for the mass murder. @Reiner. Didn’t know that. A dangerous man; I’ll stop reading his paper now that he’s following the Fraudian and the rest of the MSM by supplementing Falsehood ATL with Censorship BTL. The defecting sons-in-law of Saddam, Hussain Kamel and Saddam Kemal, told UNSCOM and all relevant authorities that, in Hussain’s words, ‘I ordered the destruction of all chemical weapons. All weapons-biological, chemical, missile, nuclear-were destroyed’. Hussain had been been in charge of Iraqi weapons development after 1987. In March, 2003, Newsweek magazine revealed that the revelations had been ‘hushed up’, in order to ‘bluff’ Saddam Hussain into revealing more. Instead, (Kamel being dead by then) in the lead up to the 2003 aggression, Bush, Cheney and Rumsfeld and Powell all cited Kemal, mendaciously, as having said the opposite of what he did reveal. Not only had the USA had the fun of murdering one million Iraqis under the savage sanctions, including 500,000 children under five that so excited Madeleine Albright, but they got an excuse to kill another one million plus in the aggression. Happy Days indeed in Thanatopolis DC. The Netherlands failed to quality, the Aussies are no-hopers who care about cricket and rugby league far more than football. Holland, the USA, Ukraine and Israel all failed to qualify for the World Cup. Poetic and karmic justice! I love it! Sorry to all but I have to remind you that this was a news cover distraction for Israel again perpetrating mass murder in Gaza in its Protective Edge massacre. It seems likely to me, and I have studied this at length, that Netenyahu let it be known to the Ukranian Nazi’s that Putin would be flying over that afternoon in a plane with very similar livery to the Malaysian carrier. The Ukranians just had to have a pop. Of course an old buk was never going to hit the presidential plane and probably never hit MH17 either. Now remember MH370? Remember 9/11? And be reminded that Israeli security company ICTS which operates at Schipol and is tied in to Sayeret Makal, the elite commando squad once (And still) headed by Bibi himself. Add all that together and you can prove nothing. But you will be closer to the truth than you have ever been. Oh and why? It was once more Bibi showing Putin just how psycho he is. The fact that MH17 took off from Schiphol airport in Amsterdam – with its dubious connection to the Underwear bomber incident in December 2009 and the ICTS / Huntleigh connection to Logan International Airport in Boston in September 2001 – also means the Dutch themselves should not be part of the JIT. They may have an interest in diverting the investigation away from the airport itself. @Jennifer. You forgot one thing: the Dutch regime’s cover up for an El’Al plane which crashed landed at Schiphol with its wingtank carrying a liquid designated as “perfume”. Men in White protective suits appeared immediately, and people started coughing, because the substance was actually a Chemical Weapon Intermediate. I still remember a Dutch woman MP crying out in indignation, “questions will be asked in Parliament!”. No questions were asked, as far as I know — or at least I never heard an answer. Like the Swedish policeman when his Prime Minister was gunned down in the street in broad daylight, “This is Western Europe, things like this don’t happen!”. Candideschmyles, are you familiar with the following material? I originally watched this on youtube within a couple of days of the crash. Then it disappeared without trace. I find it both compelling and disturbing. The description of cadavers and the odour of formaldehyde at the scene was from more than one source. Be advised that you’ll need a strong stomach to get through this. I had not seen it and I certainly cannot “unsee” it now. I do not possess any expertise on the condition a body would be in following such an event however I did see a few pictures of Lockerbie victims. They were mostly missing shoes but otherwise retained clothing and showed no evidence of the bloat seen in the MH17 pics. There was little to no blood in the Lockerbie pictures. The body with the swollen lips is I believe consistant with the victim of a nearby explosion. These pics seem inconclusive to me but do need explaining by an expert. The Dutch investigators have apparently (or so I’ve heard) admitted that they based their evidence on the posts of a ‘blogger’ without any military experience, the same blogger as 4 years ago who gathered his “information” on YouTube videos and other social media! I could hardly believe it when they started to basically deliver a bellingcrap report using bellingcrap’s misinformation basically word for word. For example they claim that ‘the convoy containing Buk 332 went to Milovero and was filmed there’. This is a lie. Buk 332 is not to be seen on any footage of the vehicles in Milovero. We have no way of knowing where Buk 332 was at that point. It may just have returned to base. It’s exactly the same lie bellingcrap told years ago. @Peterson. Thanks for remembering that point. It was on a video series refuting bellingcat’s persuasive lies point counter point, but I cannot recall the link. None of these old points which are being recalled BTL in OffG could I find in the Indie; and my questioning of the new? evidence (and my pointing out its resemblance to the old) were deleted together with similar questions by other posters. And of course it doesnt matter where the convoy went inside Russia, since all this happened in late June weeks before MH17. Where was Buk 332 or any of the other vehilces between then and 17th July? No idea. And is it not also true that the videos that Bellingshit ‘discovered’ were uploaded by Ukronazis just days before the atrocity, and have been shown to be faked, both indicating a premediated atrocity (NOTHING new for the Ukronazis and their CIA friends)by the Ukronazis to deliberately kill 300 people and hang the blame on Russia? Bellingshit also works for the Atlantic Council, a hate-tank with copious Ukranian Nazi emigre’ membership. No, none of them days before. But definitely fed to him by the SBU. The missile parts displayed by the JIT were 28 years old at time of launch. Russia doesnt use missiles as old as that, having removed them from service and destroyed them in 2011. Look, you Putinbot, our mummified Foreign Minister, Julie Bishop, the least deranged member of the Turnbull regime (so far) hissed that it was the ‘Russians’, and that’s good enough for ALL our fakestream media, ALL political parties, and 90% I would guess, of our brain dead ‘population’. Let’s just invade Russia, along with our glorious Ukronazi allies, and get it over with! How brave the Buk crew was! Invading Ukraine all by themselves and armed with missiles deemed so unsafe to use by the Russian army they had been decommissioned 3 years earlier. The Russian army are clearly men of steel with a death wish. @Mulga. Before you Ozzies all rush to invade Russia (with or without your glorious UkroNazi allies) take a while to ponder a thought from someone who tried it: “If I had known how big Russia was, I would not have started that war”. Russia does not start wars; Russia finishes wars. I’ve been an expat in Russia for 20 years and have fallen in love with this country and its people, who I think are the greatest, the warmest, the deepest I’ve had the best fortune to meet. I’ve seen nearly 5 years of the most malicious, vindictive disinformation being vomited up by the western media against Russians and Russia on an almost daily basis, and yet I haven’t encountered even the merest hint of hostility from Russians in return. Mostly I’m rendered speechless by the sheer cynicism of it all. There are occasional pre-prepared and well-choreographed fabrications on social media coughed up simultaneously by BBC, Times and Guardian ‘journalists’ and aimed at portraying Russians as backward, as racist, homophobic etc. I can’t even be bothered to go into detail, but in some ways they’re the worst because you’d have to be in Russia to know they’re lies. Often built upon previous lies long forgotten but now surviving as assumptions to further incriminate. It never stops. With a dry run during a friendly match between Russia and France earlier this year, the groundwork has been laid for racist abuse by Russian fans at the World Cup, and then likely disqualification of the national team and renewed demonisation. It doesn’t matter to the unwitting consumers of propaganda that the small group of fans guilty of that abuse couldn’t be identified and were likely drafted in from Ukraine or elsewhere. The damage had been done. The damage from MH17 has been done, too, and I think I’ve almost stopped caring. Instead, I’m applauding Putin’s demonstration of invincible, unstoppable missiles and other assorted weaponry. If the West is so desperate for war, let them drop their cloak and dagger and abandon their cowardly campaigns. Bring their fight into the open and let’s have at it. But they won’t, because they’re cowards. It’s ok for Russians to be disliked and misunderstood for being Russian. They’re pretty used to it. I still love them, after all and no matter what. If Russia can’t be loved, let her be feared instead. TWA-800 had 200+ witnesses who saw a missile heading up towards the plane plus both film and photographic images of the missile. That’s gone down in the official record as the 747’s fuel tank exploding because it got a bit warm (you know, like 747 fuel tanks are always blowing up in warm weather….). Blaming this on the Russians is money for old rope in comparison. You mean that intercontinental airliners, near to the start of a long-distance route, when they are full to the brim with aviation fuel, are… liable to explode mid-air if hit by a missile? That would scatter the parts of the aircraft over a vast area of hundreds of square kilometres? Now that’s odd. Because no-one in the whole area around the MH17 witnessed any kind of explosion. The scatter pattern of the MH17 wreckage points to being shot down. The section of the cockpit is riddled with bullet-holes consistent with fire from an automatic air cannon, as fitted to the Ukrainian Air Force fighter clearly seen closing on MH17 in the aerial photography. The parts of the fuselage were not blown up mid-air in missile-consistent explosion, but instead fell intact to the ground, and landed within just metres of each other. The plane’s fuselage livery remained intact, and is not scorched by flames from aviation fuel. The oxygen mask system had been deployed – consistent with a mid-air cabin-pressure catastrophe (such as being shot down). Ukraine refuses to release the ground-to-air communications with ATC in the moments prior to the incident. What would be Ukraine’s motivation not to do so? If the situation is really as the Kangaroo Court claims? @reiner. Thanks for recalling and sharing those details from the time of the incident. Can you perhaps answer a question which puzzles me about this new accusation from the Dutch and Australian regimes: They have carefully re-assembled a large part of the fuselage, and provide a rotating video of the pilot area; I can see no bullet holes — can you? I understand your concerns about this. Of course, the Dutch have presented selective evidence. I first saw the photo-evidence of the machine-cannon holes around one month after the incident, when I was working as a translator for a Russian TV program about this. As always wisth such work, I signed a Confidentiality Clause on it, so I am not at liberty to divulge the material (even if I had it, which I no longer do). There were no Buk projectiles in the bodies of any passenger, and the family members of the pilot were NOT ALLOWED to see his body or autopsy report??!! This is such a sick and utterly evil sham, even by Western standards, that one is left gob-smacked by the viciousness of it all. A few days after the incident a ( Dutch?) photographer put a whole load of pics online clearly showing what had gone on, entry & exit holes near the cockpit were the give away. Link to higher resolution PDF picture reports, Page not Found. Which reminds me that the Dutch / Australian / Ukrainian pictures are low res; a remarkably perfunctory investigation by the usually meticulous Dutch. Neither were Russians invited to the investigation nor was Russian evidence accepted. Kangaroo Court indeed! And now, of course, the Evil psychopathic nonentity, Boris Johnson, has the gall to state that Russia refused to assist the investigation. And, naturally, not one Evil, scabrous, Western fakestream presstitute dares to point out that is the EXACT opposite of the truth, that Russia demanded to be included, but was peremptorily refused. I found a further picture which clearly shows machine-cannon fire. @Peterson. OK, so what caused those large round holes in the photos shown by Rilme and Reiner? 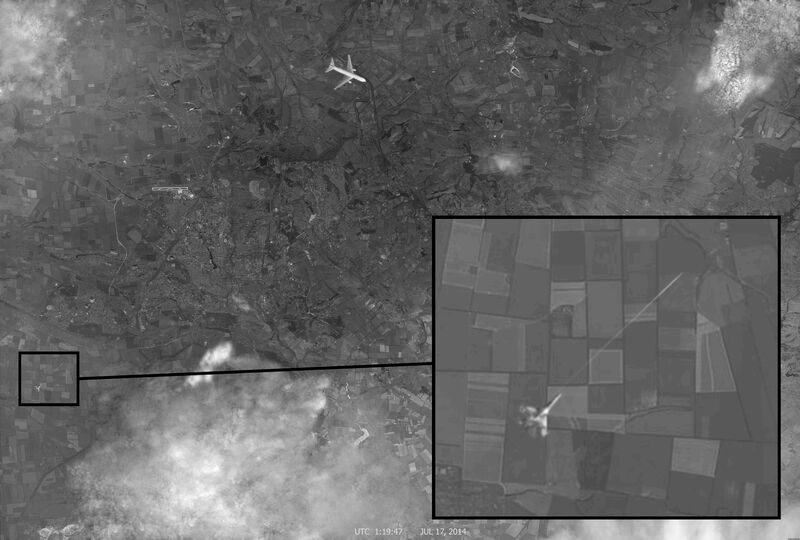 Re photos: None of Ukrainian fighter planes shadowing the air liner? None tracking the airliner trajectory? None tracking Ukrainian fighter planes? This was a warzone; where were the Eyes in the Sky from USA and Russia? Where is the airliner’s Black Box? This Dutch / Australian / Ukrainian Commission not looking for bullet holes is beginning to remind me of the US 911 Commission not looking for nanothermite. But then, why shoot up a plane when its fuselage has already been punctured by the “butterfly” shrapnel of a BUK? Important to examine those round holes, do they really match the cannon on those fighter planes (wherever they were)? By the way, your post mentions that the BUK in use by the Ukrainian Army is an older model than the BUK in service with the Russian Army. As far as I rememxer, the Dutch report does not mention those “butterfly” holes look like an older pattern. I think that was in Saker Vineyard at the time — but not in the MSM. the plane was shot down with a Buk missile most likely. The holes are just shrapnel damage. 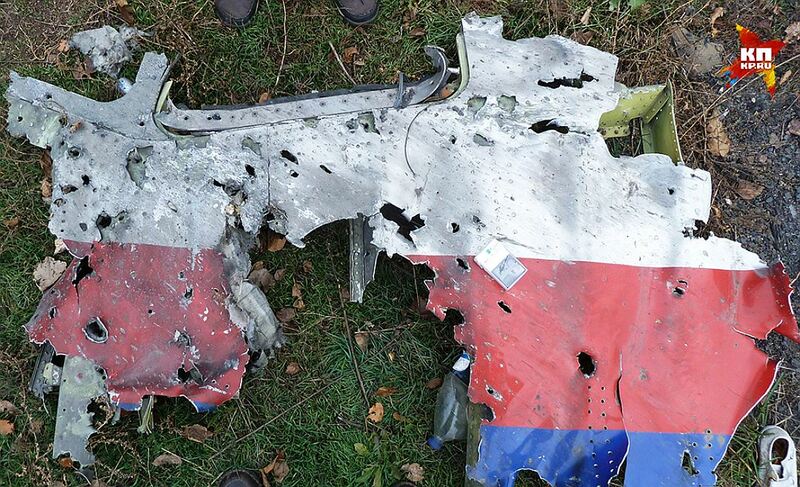 Actually buttterfly shaped holes are not present on MH17, meaining its an older warhead. The missile was probably fired by Ukrainian forces. In other words, exactly what we have been saying that it was shot down. Or is ‘just shrapnel damage’ found on all modern airliners? What is Russia’s motivation for shooting down a passenger plane? How does this help Russia in any way? Doesn’t it just make Russia look needlessly and barbarically evil? Does the United States have a motivation for framing Russia for shooting down a passenger plane? The US has tried to block Russia from putting in two pipelines, one through Turkey and another through Ukraine. It’s easy to see who benefits and without a motive for Russia, or even a theory as to how Russia my have accidentally shot down MH17, I have to say I don’t trust the United States. “Doesn’t it just make Russia look needlessly and barbarically evil?” But that’s it. Putin IS needlessly and barbarically evil. In the same way that Bashar al-Assad is needlessly and barbarically evil. Why else would they do what they do? Well that’s what the MSM and the UK Government keep telling us so it must be true. Good God man (or bot?). Putin did it because he is EVIL! Have you been asleep the last ten years or so? Judy is clearly ridiculing the media’s logic here. FS – I appreciate your recognition of my irony but I think you’ll find that @Mulga is actually also employing a similar irony on the back of Richard’s observations rather than mine. We both posted our responses to Richard at about the same time. It devolves into mere sarcasm-the lowest form of humour. There ought to be a delete button..
People have already remarked on the fascinating timing of the release of this report. Just a few weeks before the World Cup begins. Curious indeed. * lack of motive for Russia to perform such an act. I’m not ruling out an accident of course. * almost immediate apportioning of blame by western media in a concerted fashion within hours of the crash has a certain foul smell about it. * Any member of the JIT has veto rights over any information gathered. This includes Ukraine who is a protagonist in the local conflict in the area. * normal international airline crash investigation procedures were ignored which is very unusual. This indicates political motives trumped the normal process. * AFAIK the Black Box recording transcripts have not yet been made publically available. Not sure if this is an investigation norm. These points leave me skeptical. Or on the eve of the St Petersburg Economic Forum, where Putin today met Micron and Abe. Moreover the recorded transmissions of Kiev Borispil Airport’s ATC exchanges with MH17 have been withheld by the Ukrainian Govt, who say that they will not hand them over. Ukrainian REGIME, please. True in this case. I call it a junta, not a régime. And, lets not forget, right when everyones favorite nation, little Izzy, is finding that murderous slaughter of unarmed protestors isn’t winning friends and influencing people to like their behavior. Those are just ‘antisemites’ eagle. Howard Jacobson told us that, when some nasty ‘antisemites’ criticised the Cast Lead exercise in mass child slaughter in 2012. Why haven’t the Dutch/Australians released the ‘black box’ of the plane? Why did they ignore the eye-witness testimony of the Ukrainian pilot at the scene? Why did the Ukraine’s air-traffic control divert a civilian airliner to the conflict zone? Was it not also true, that relatives of the pilot were forbidden to see or examine his body? Very much the fox watching the hen house .We will probably never know who is the guilty party but we can certainly ask Cui Bono . Good response. Of course, I knew it was a BUK and it was the Russians because Kirsty Wark said so on the very night this tragedy happened…on BBC. Indeed, it was case closed and a slam dunk “It was the Russians,” almost before the plane hit the ground. She’s a right judge and jury is Kirsty Wark. As to why Russia would commit complete and utter reputational suicide I remain none the wiser. The western warlord establishment does seem to be drawing the wagons in a ring over MH-17, in full-panic mode, the case made against Donbass residents fighting for their homes and hearths with the crudest of weapons being so flimsy and improbable, the case for the EU/NATO terrorist mass-murderers being unassailably strong, even the limited hang-out, disinformation, controlled opposition internet ‘investigative journalists’ are not prepared to brook any doubts over this, throwing out ‘conspiracy theorist’ and ‘Putin-bot’ labels like the Kiev Junta’s death-squad henchmen throwing burned bodies from the Odessa trade union building’s windows. It is all the more clear therefore that Ukraine/Kiev with American support and backing were responsible, only they had the technical means in the field, the motivation and opportunity. The large number of AIDS and top medical researchers on board the plane killed does also fit a pattern of the most mysterious deaths around the world of leaders in the fields of micro-biology and bespoke chemical/biological weapons of which Dr. David Kelly was just one of very many now deceased. Two birds with one stone and the beseiged ethnic Russians perfect patsies, but for their inconvenient total innocence. The only supposed evidence that it was a BUK (of which the Ukranian military definitely had several operational) is one, ONE supposedly bow-tie shaped shrapnel fragment, which could have been planted on the ground or in the evidence chain at any point, and there is as much if not more evidence of an air-to-air atteck by western fighter-plane. The west has dug themselves this pit, by crying wolf over and over again. They never learn they’re using the tired old playbook of cries of ‘Communist!’ updated to ‘Putinista ‘with which they labelled any indigenous resistance or democracy movement the world over since the end of ww2, it wasn’t believable in almost all cases then, far less so now. Putin’s early response, that this would not have happened if not for the Ukraine coup was however very muted and vague. The SINGLE bow-tie shrapnel(the hundreds of others just evaporated, apparently) was ‘discovered’ by a Dutch ‘journalist’ in a piece of wreckage that had previously been turned over by searchers, but, miraculously, it had not been dislodged. Exactly the same clumsy, amateurish methodology was used in the Skripal affair. In the case of MH17 there was no concrete evidence, and no discernible motive for the alleged actions of the Russian government; and the same criteria applied to the Skripal episode. Cui bono in both instances. That must be your fourth new forum username this month, Free Dumb Fighter. Were the others so badly voted-down? How bleakly appropriate that Australia is in charge of a Kangaroo Court. Any sign of the Air Traffic Control transmissions with MH17, that were recorded in the moments before the crash? Mysteriously Ukraine still refuses to make them available to the investigators. And more mysteriously, the investigators refuse to challenge them for withholding critical evidence. I also recall that the Ukrainians were unable to produce their own radar images of MH17’s flight path diversion. The military radar that would normally have been in operation was ‘undergoing maintenance at the time so was out of action’ and the primary civilian radar recording system ‘malfunctioned’ at just about the same time as the flight was being diverted. All very convenient. I don’t suppose the USA has provided their satellite images and data yet. I guess while the the kangaroo court keeps this data secret no one can prove what really happened but conversely the findings will have no credibility either. Reinortorheit, …Air Traffic control records… I recall within a day or two of this event that there was online 2 very important articles online. One was that Ukraine air traffic control had told the pilot to change course slightly before it was downed. ALL , and recognize this, ALL commercial air traffic was already taking a flight path to AVOID the Ukraine airspace because of the coup and war in the Donbass area. That air traffic controller was if I remember correctly , not a Ukraine national and may have been from Spain. A second story was that Putin was coming back on a flight at approximately around the same day/time …. I don’t know if that was true, but the flight diversion which brought that plane into Ukraine air space seems that it was done purposely . Again, all previous commercial flights for weeks earlier , and after had no trouble with their flights. I’m of the mind that the CIA was involved with the Air Traffic control station as telling the person on the job in the tower to to pass on the new flight instructions. It would have been that easy. There was also a possibility of the Ukraine air force having intercepted that MH-17 once it entered Ukraine air space and they shot it down. There was a bullet angle investigated early on by experts and they offered that as the cockpit fuselage parts displayed indications of the jet fighter contact. lastly…the BS Dutch blaming the Russians is a crock of s–t. .One has to ask themselves…. who gained by this??? It is indeed the case that President Putin was on a flight back to Moscow later that same day and coming back across Ukraine. When this was confirmed it absolutely amazed me, and still does, that the MSM didn’t make more of this ‘coincidence’ and some news outlets barely, if at all, mentioned it. I read or heard only recently (unfortunately I can’t recall where) that the team investigating the cause of the downing (as opposed to investigating who the protagonists were) consciously didn’t officially report on specific damage, including damage resembling bullet holes, to the port side of the aircraft as this would have raised questions regarding their final assessment. There were suggestions as well – but I do not know how credible – that the pilot’s body had evidence of injury from bullets, and this could tie in with relatives not being allowed to see his body as mentioned by @CF above. There were also allegations made that used missile fragments were placed at the site of the crash at a later date to support the BUK theory. The crash site covered an extremely large, unrestricted area so this would have been easy to arrange. Previous PostWhose words was Yulia reading?